Get your online printer or copier quote emailed back to you with the options and payment terms you require quickly. We support the largest range of printers and copiers from the leading manufacturers. Please complete the form completely to ensure your copier printer quote has all the options you require to make the most informed decision about you next copier printer purchase. 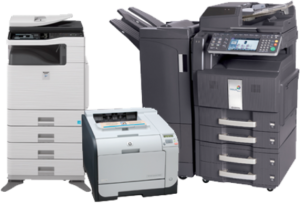 We offer all types of payment terms from short term copier rentals and printer and copier hire services throughout the Sunshine Coast. We look forward to providing the Sunshine Coast best copier and printer prices.